Eminem has "always been chasing" the success of 'The Marshall Mathers LP'. The 46-year-old rapper released the album – which was self-titled as his real name is Marshall Mathers – back in 2000 and enjoy chart success, and has now admitted he's been trying to recreate that creative streak on every album he's released since then. Speaking in a new virtual reality interview titled 'Marshall From Detroit' – which is available to view on Oculus Go, Rift and Gear VR devices – he said: "I'm gonna keep it 100 percent honest: I feel like, and I've felt like this for a long time – I've always been chasing 'The Marshall Mathers LP'. Because I know that captured a moment, you know what I'm saying? It's kind of like a time capsule, when I look back at it. The times that it was back then and the turmoil in my life that was happening." 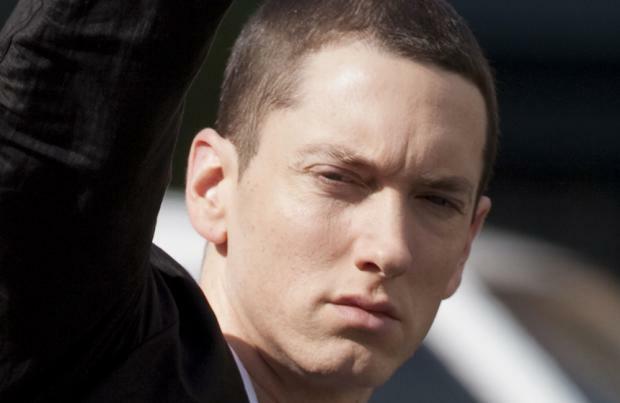 But the 'Real Slim Shady' hitmaker isn't sure he'll ever get that sound back, because he was "spiralling out of control" at the time, and he no longer has the "rage" he used to have. Eminem also doesn't know if his releases would do as well these days because there's so many other "great rappers" in the industry. The 'Stan' rapper said: "I don't know who I'm competing with, but I just wanna be... there's a lot of great rappers and artists coming up in this generation now. And I'm watching it, and I'm loving it, and the competitive spirit in me wants to keep up with the best of the best."